I have a few very hard to find polishes that I have procured over the years. Some I paid retail for and just happened to be around at the right time, others I've paid a little more shall we say. Over the last few weeks I've decided to wear them all, because why own a pretty polish if you aren't going to wear it. 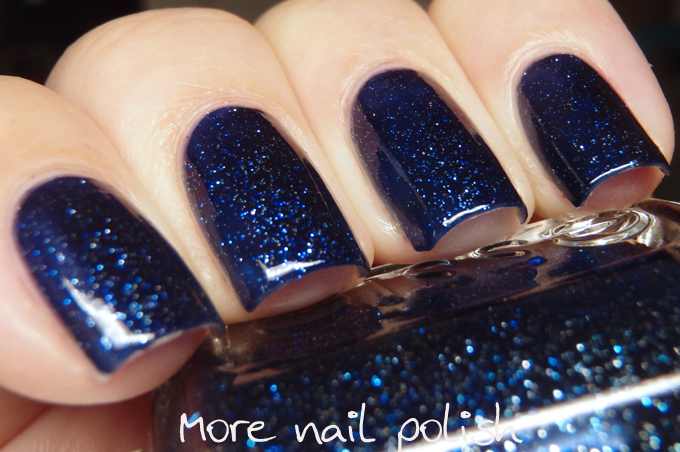 All the polishes I'm going to show you this week have definitely been duped, or at least close enough to dupes that many people wouldn't care. But at some point in time, my nail polish collection became just that, a collection. Which means owning the actual original polish with the right bottle and name is more important, because it forms part of a collection. The first one I have here is one of my more recent acquisitions. I actually was able to purchase this bottle off one of my fellow Digital Dozen pals, who had backup bottles, if you can believe it. 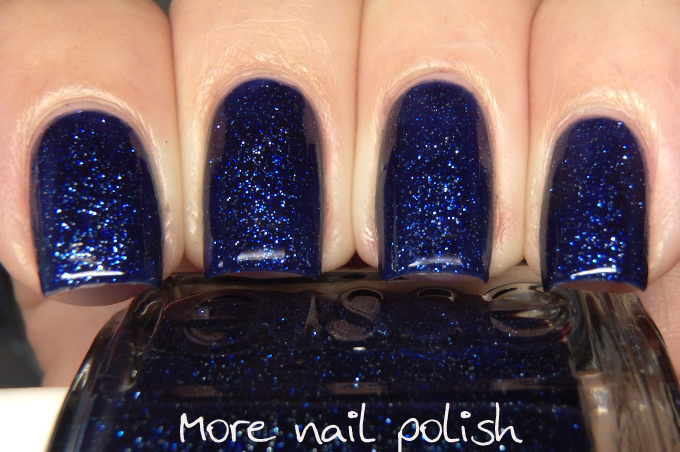 This is the original Essie Starry Starry Night. I really do love it. I did apply four thin coats because I wanted to see SSN in it's full deep dark depths natural glory, and I wasn't disappointed. I'm so glad to have this one in my collection now. I never bothered buying the new Starry Starry Night, because after seeing swatch comparisons, it was clear it wasn't even close to the original. 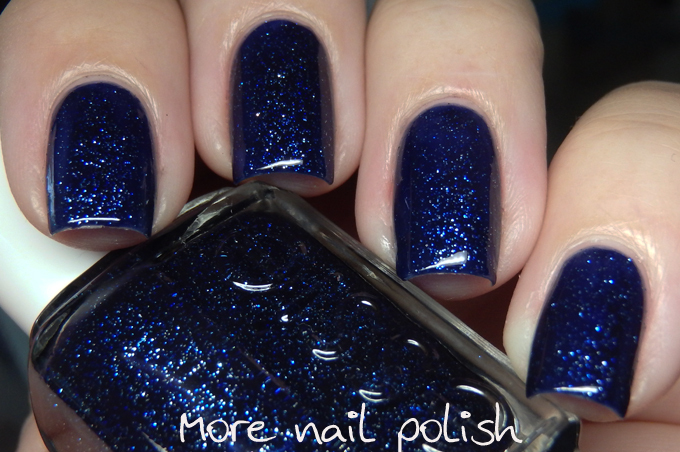 I have the new one because the original is my number one polish-I-want-and-will-never have. It wasn't the same and still left me wanting this one. I have some "dupes," but none of them are spot on and I still want the original. 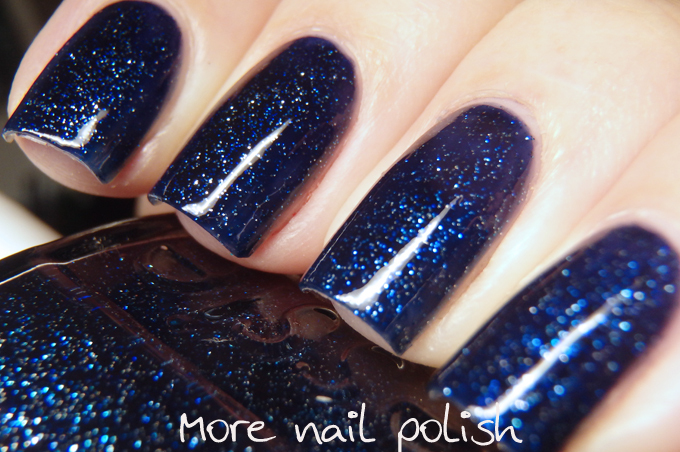 That is a lovely polish!